(a) What is software testing and why it is so hard? (b) What is cyclomatic complexity? (c) Differentiate between walkthroughs and peer review. (d) How does V-model support different types of testing? (e) What are different levels of object oriented testing? (f) Differentiate between top down and bottom up integration. (g) How does software testing help to develop internet applications? (a) Software testing can be an unending process. What criteria are used to step testing? (b) Explain code inspection and desk checking. Draw a flow graph and DD path graph. (a) Differentiate between alpha testing and beta testing. (c) What is class testing? 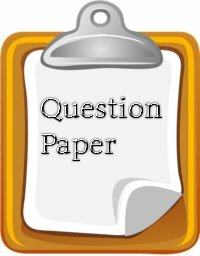 Discuss the issues related to class testing.